This room of the highest grade is for welcoming members of the Imperial Household. The living area is the size of 30 tatami mats; one room is the same capacity as two Guest Rooms. The Honored Guest Room can also be rented out for groups or family gatherings. The two Special Rooms are one grade below the Honored Guest Room. You can feel comfortable bringing important guests to these rooms. 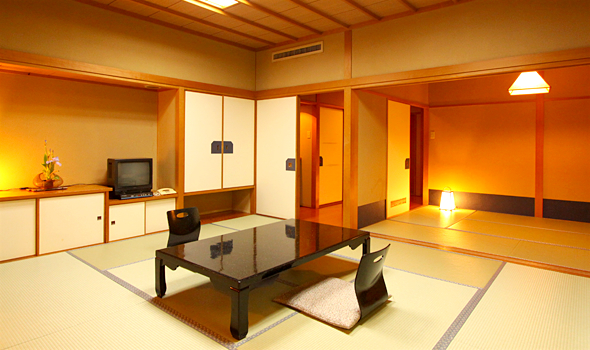 The basic, high-quality Guest Rooms in the Main Building, which can be used by up to seven people, have a spacious two-room design with a 10-tatami mat main room and a six-tatami mat sub-room. 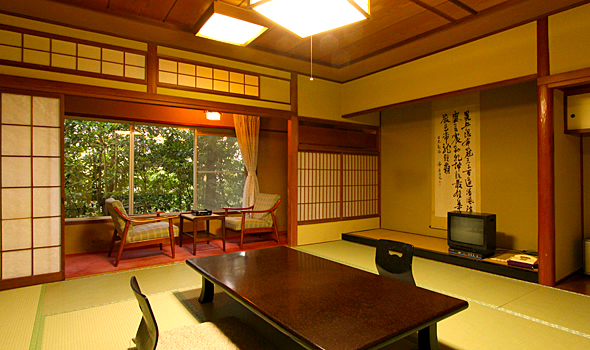 Shofuen preserves the elegance of historical ryokan (traditional Japanese inns) at an affordable price. These single rooms in the wooden Old Building range from six- to 10-tatami mat sizes, and have attached toilets (baths are shared). Copyright © 2010 YAHATAKAN. All Rights Reserved.